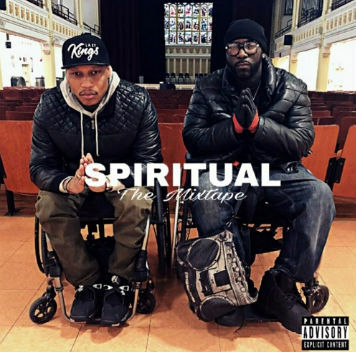 Spiritual is a 16 track mixtape from 4 Wheel City, a rap group featuring two charismatic motivational speakers and hip hop performers (Namel “Tapwaterz” Norris and Ricardo “Rickfire” Velasquez.) The twist is that they are both in wheelchairs as a result of gun violence. As you might ascertain from the title, Spiritual is geared to inspire. Their stated mission is to “use hip-hop music and culture to create more opportunities for the disabled and inspire people not to give up in life,” but this release isn’t just for the disabled. It could really be helpful to just about anyone who needs a little encouragement and motivation, or even anyone that just enjoys listening to hip hop music. What’s striking about this release is the fullness of it. 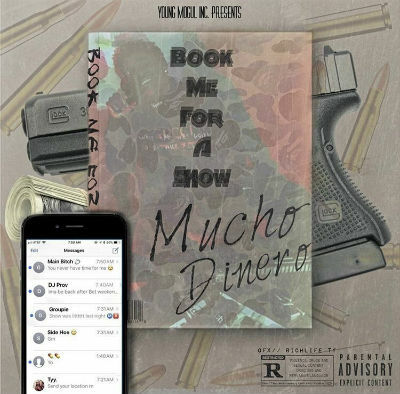 It contains 16 unique tracks, each filled to the brim with lyrical substance and musical depth. Even the spoken word intro, the thinnest of the tracks, serves a vital function as a piece of the puzzle. There are some attention grabbing samples, such as those in Noah. The backing music is very ambient for a hip hop album, occasionally even resembling Native American style music, (which is somewhat fitting for the album;s message of finding peaceful determination and courage from within oneself to overcome adversity.) There is quite a range even here though, with other songs having more conventional house beat backing, and still others featuring groovy, retro analog vibes. One of the best tracks on here is Disabled Lives Matter. It has a hypnotic, old school hip hop feel. Lyrically it goes deeper than you might expect for a song with a bumper sticker slogan title. The song in explicit detail captures the feeling of “not being able to escape,” which is something I hadn’t really considered as being central to a disabled person’s struggle. The sentiment, conveyed very well here, can be taken literally and figuratively. Being disabled makes it physically more difficult to evacuate or get out of harm’s way. Psychologically, one must come to terms with the fact they cannot “escape” their condition. However, Spiritual inspires disabled people to confront their conditions in a positive way, and reminds everyone that each of us has physical and mental barriers that we must overcome to achieve our dreams.